I’m leaving Nebraska behind for now and heading closer to home with a visit to Knoxville National Cemetery (KNC). Would it surprise you to know that KNC is home to a 60-foot monument dedicated to Tennessee’s Union soldiers? Before I dive into that, let me set the scene. My in-laws live in Knoxville and we visit them often. 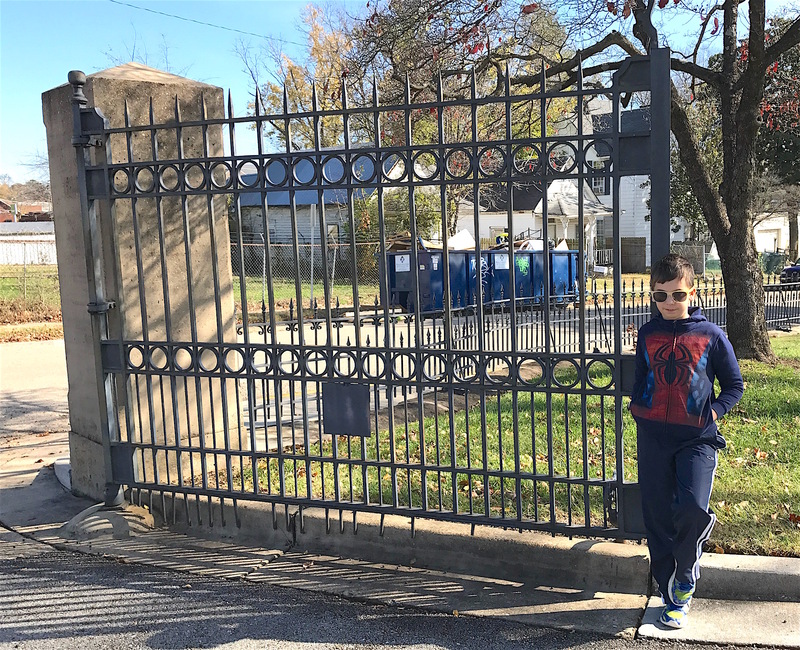 During Thanksgiving week of 2017, I knew I wanted to get over to KNC and Old Gray Cemetery, which are conveniently located right next to each other and share a stone wall border. So on a sunny fall day, I grabbed my son and we headed downtown. Because we were visiting Old Gray as well, we spent less time at KNC than I would have liked. There were also some visitors at KNC that day that appeared to be sharing a quiet moment at a loved one’s grave and I did not want to disturb them with our presence. According to Find a Grave.com, Knoxville National Cemetery has close to 9,000 recorded burials. While Tennessee is a Southern state, it did not secede from the Union quickly or easily. In fact, it was the last state in the Union to leave it on June 8, 1861. In the state’s mountainous eastern section, few people owned slaves and voters opposed secession by more than 2-to-1. As it turns out, Tennessee furnished more soldiers for the Confederate Army than any other state and more soldiers for the Union Army than any other Southern state. According to the Tennessee Encyclopedia, while Tennessee did send over 120,000 soldiers to fight for the Confederacy, over 31,000 men fought for the Union. While there’s quite a difference in those two numbers, it makes a Union monument in Knoxville not so unusual after all. 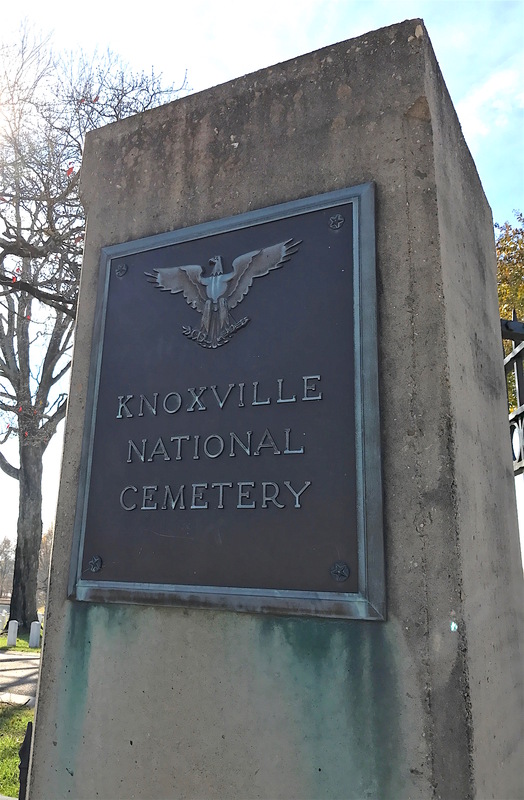 According to the cemetery web site, Union Major Gen. Ambrose E. Burnside established Knoxville National Cemetery during the Civil War after the siege of Knoxville and subsequent Battle of Fort Sanders on November 29, 1863. 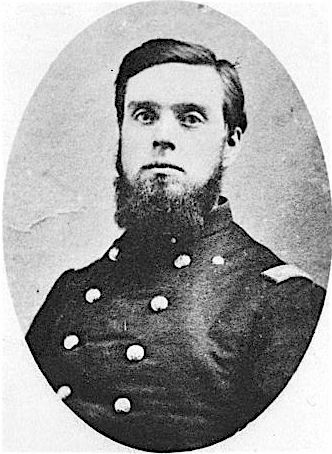 Unlike most Union commanders, while Burnside was an Indiana native, he had close ties to the South because his father grew up in South Carolina. 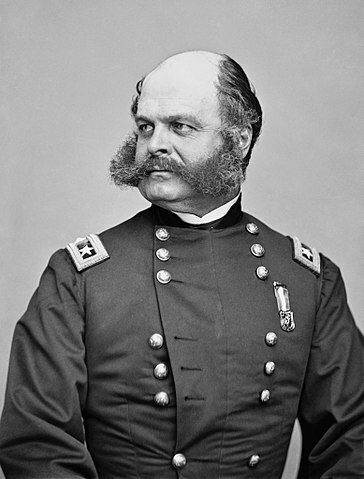 While he had a notable military career and was elected governor of Rhode Island, Ambrose Burnside’s facial hair is what he is now better known for and the term “side burns” that it coined. Burnside was known for his distinctive facial hair and because of it we can thank him for the term “side burns”. After the Civil War, he was elected to three one-year terms as Governor of Rhode Island, serving from May 29, 1866, to May 25, 1869. The land Burnside acquired for the new federal cemetery amounted to almost 10 acres. After the war in March 1867, legal judgment in the U.S. District Court in Knoxville, when it was already the site of more than 2,000 burials, affirmed the U.S. government’s purchase of the land. A native of Ohio, Captain H.S. Chamberlain is thought to have designed Knoxville National Cemetery. Burnside is thought to have given the task of laying out the cemetery to his assistant quartermaster, Captain Hilton Sanborn (H.S.) Chamberlain. There’s a little uncertainty about that. The cemetery’s first burials were Union dead exhumed and moved from Cumberland Gap and other parts of the region. By 1874, there were 3,135 interments in the 10-acre tract. Approximately a third were unknown. The cemetery’s plan was so effective that KNC was one of the few in the nation that required no alterations upon being designated a national cemetery after the war. I don’t usually take my son with me on cemetery hops but the promise of chicken fingers afterward was a strong inducement. After the war, Tennessee adopted a constitutional amendment forbidding human property on February 22, 1865 and ratified the Fourteenth Amendment to the United States Constitution on July 18, 1866. It became the first state readmitted to the Union on July 24, 1866. 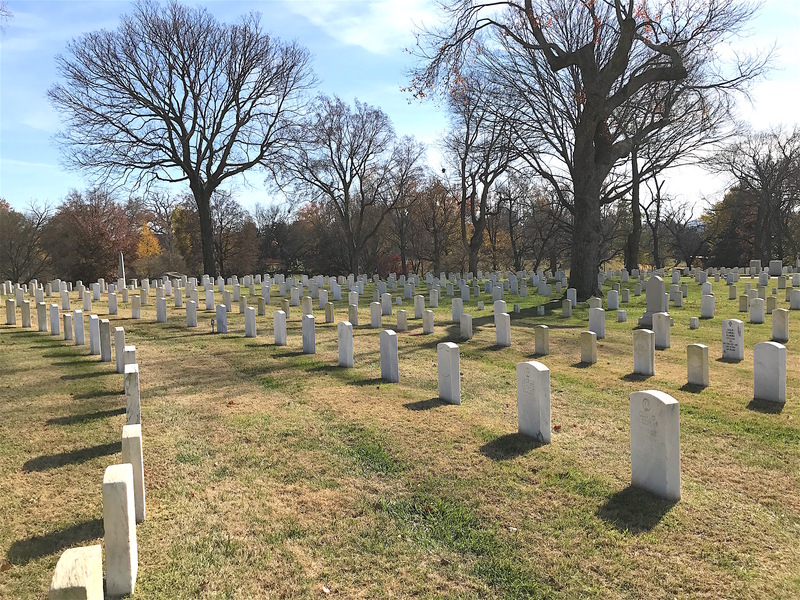 The graves at Knoxville National Cemetery are arranged in a circular pattern, with each burial section separated by walkways. The burial sections each form one quarter of the circle, with the headstones converging toward the middle, where there is a flagpole and cloth canopy. That leads me to the Union Soldiers Monument at KNC. I learned that its grand size was no accident. In 1892, Knoxville’s Confederate veterans installed a 48-foot monument topped by a statue of a Confederate soldier at Bethel Cemetery near the Mabry-Hazen House in East Knoxville. 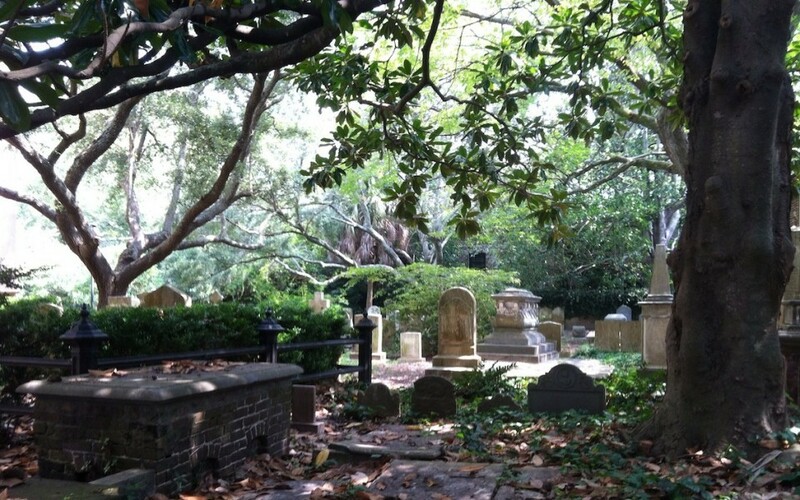 There are over 1,000 Confederate soldiers buried there. I saw that monument in January this year, but it was through the cemetery fence because Bethel Cemetery is only open on Saturdays for a few hours. I imagine the fear of vandalism is what is behind that. 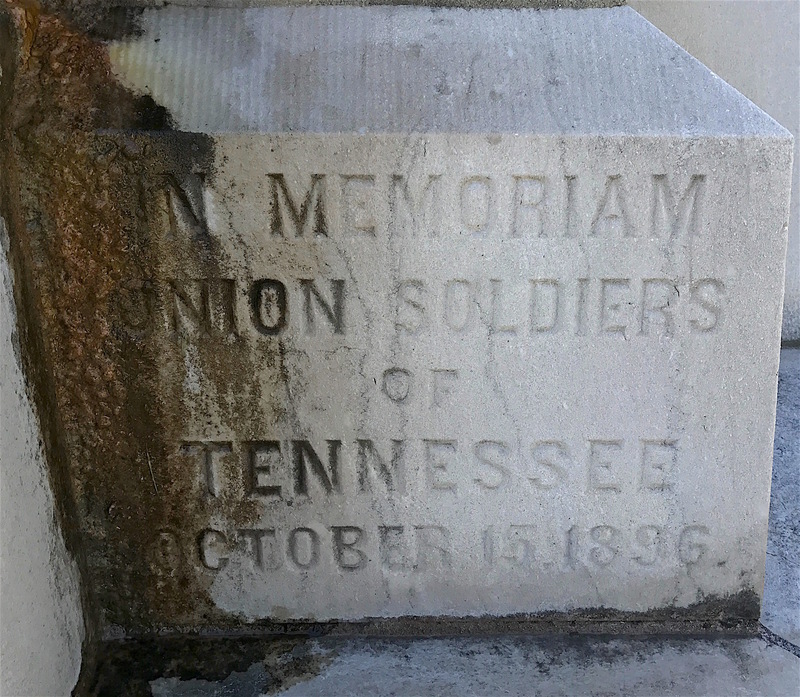 The cornerstone of the Union Soldiers Tower was laid in 1896. In response, the local chapter of the Grand Army of the Republic (GAR) formed a commission, headed by former Union Army officer and Knoxville Journal publisher William Rule, to raise money to build a bigger monument at KNC. 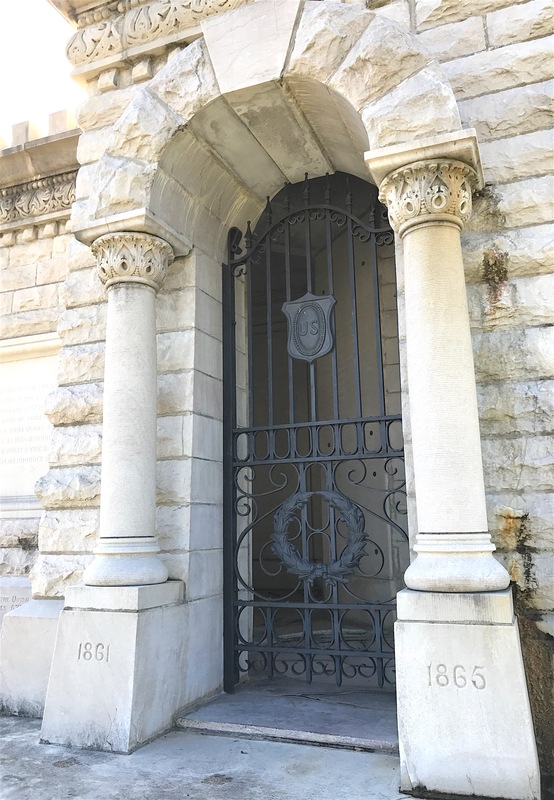 The commission signed a contract with William B. McMullen, presi­dent of the Tennessee Producers Marble Company and the Southern Monument Company, for material and construction, and with Colonel William A. Gage for engineering consultation. The cornerstone was laid in 1896 but fundraising went slowly. The Spanish American War also intruded but perhaps spurred Knoxvillians to begin to see KNC in a new light. During the Civil War, it was the resting place of men mostly from far away who died in or near East Tennessee and had to be buried here. Now it was to be the resting place of men from East Tennessee who died far away and whose families requested them to be buried at KNC. In the end, the monument cost $11,300. Of the estimated 7,000 donations, most came as one-dollar offerings from Union pensioners. The 50-foot-tall marble tower, topped by a bronze eagle with outspread wings, was unveiled on Oct. 24, 1901. Some were surprised because the original plans had featured a Union Soldier on top, not an eagle. The original Union Soldiers Monument at KNC featured an eagle on the top. It was struck by lightning in 1904. This Library of Congress photo is from a few years prior to that. On August 22, 1904, the Union Soldiers Monument was struck by a bolt of lightning during a storm. The castle-like foundation was a ruin and the strike sent chunks of stone into houses across the street. The bronze eagle and the cannonball it was perched upon were missing from the monument’s top. The eagle was found on the ground in four pieces, its head and wings severed. Unfazed, the GAR commissioners planned a quick rebuild, this time using federal funds secured by Congressman Henry R. Gibson. 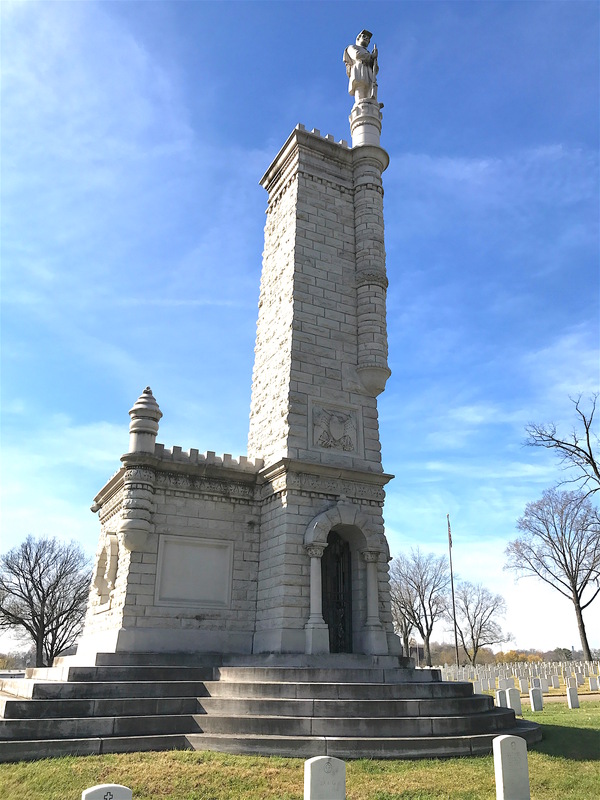 Designed by the local architectural firm Baumann Brothers, the new monument largely followed the original design. The main difference was that the bronze eagle was replaced by an eight-foot statue of a Union soldier. 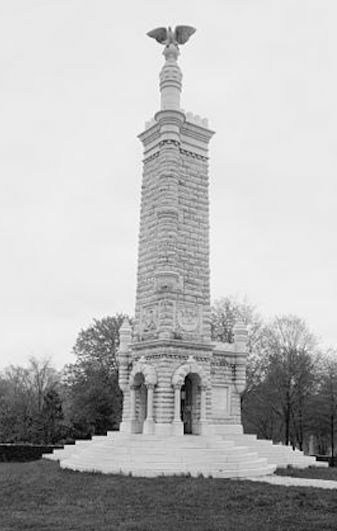 The new monument was completed on October 15, 1906. The Union Soldiers Monument is sometimes referred to as the Wilder Monument because of the soldier’s alleged resemblance to Union General John T. Wilder. Some people refer to it as the Wilder Monument because the soldier is said to resemble Union general and East Tennessee businessman John T. Wilder, who was the only ranking general on the memorial tower committee. There’s actually a Wilder Monument at Georgia’s Chickamauga Battlefield that was built to honor him. It features a castellated tower with an interior staircase, but with no statue on top. Here’s General Wilder as a soldier. A native of New York, General John Thomas Wilder came from a long line of military men. Wilder was also an engineer who operated the first two blast furnaces in the South. Here’s as good of a close up as I could get of the monument soldier. This marble statue of a Union soldier replaced the bronze eagle destroyed by a lightning strike in 1904. When the tower was built the first time in 1901, it stood 50-feet tall. But when the rebuild was completed in 1906, it topped out at 60 feet. In 2009, Evergreen Architectural Arts was hired to make repairs and conserve the Union Soldiers Monument. You can’t enter the tower but you can look through the door and see the stained glass American eagle inside. 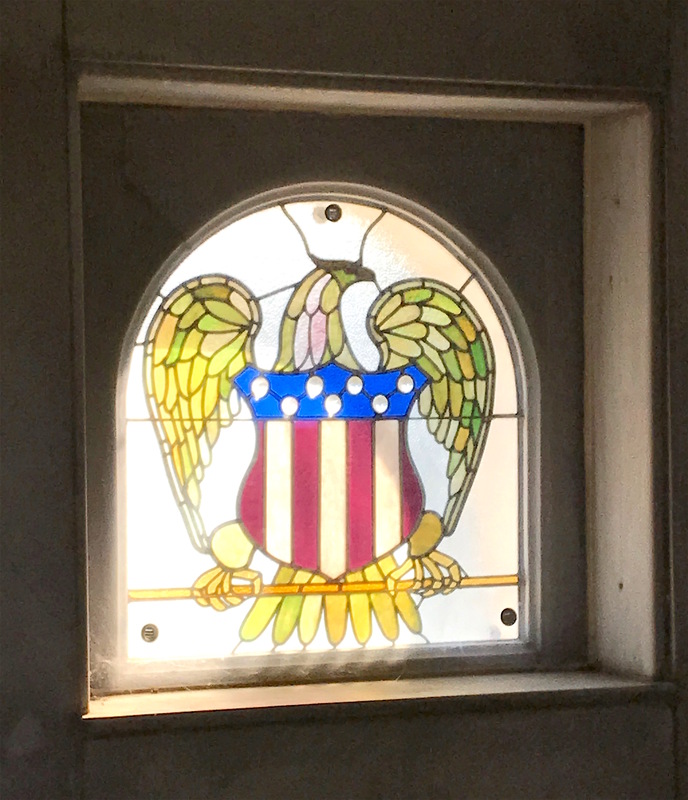 A stained glass American eagle resides within the Union Soldiers Monument. One Civil War Medal of Honor recipient is buried at KNC. Private Timothy Spillane of the 16th Pennsylvania Cavalry received the commendation for gallantry at the Battle of Hatcher’s Run in Virginia. 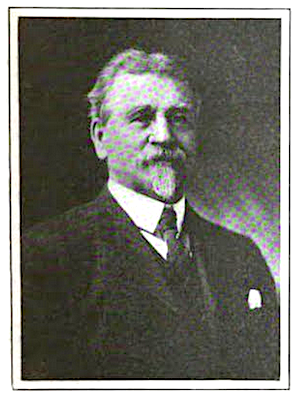 He died in Knoxville in 1901 and was buried at KNC around the time the first tower was erected. World War II Medal of Honor recipient Sgt. Troy A. McGill, killed in action in 1944, was originally kept in a military mausoleum in the Philippines, but his remains were re-interred at KNC 1951. I didn’t know these markers were there so I did not get photos of them during our visit. Soldiers from all wars, from the Civil War to recent times, are buried at KNC. 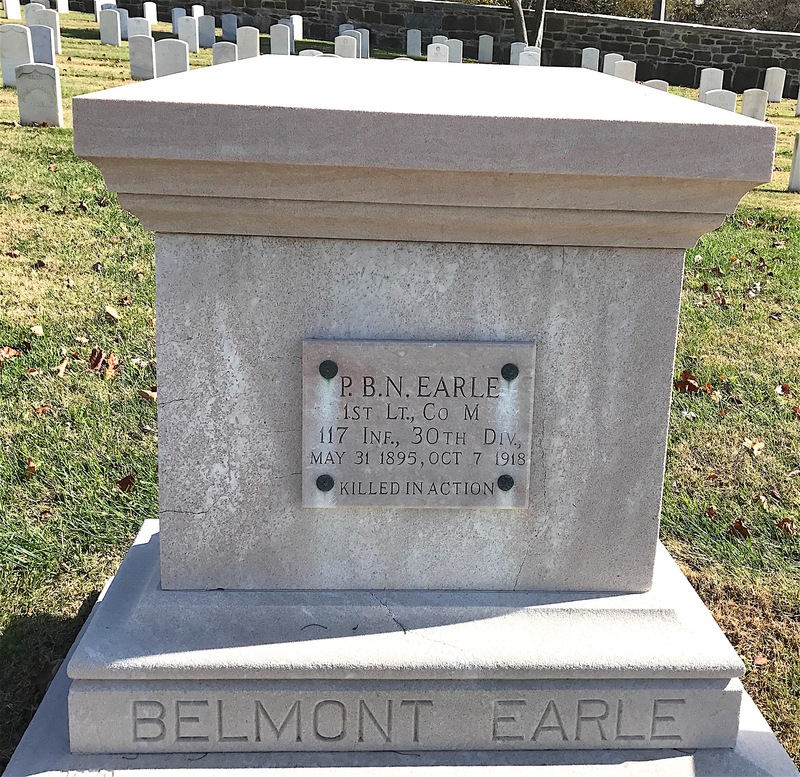 One of them was Tennessee native Patrick Belmont Northern Earle, born at Three Springs about 40 miles east of Knoxville. He was a graduate of Knoxville High School and at the time of his enlistment was a student of the University of Tennessee. First Lieut. 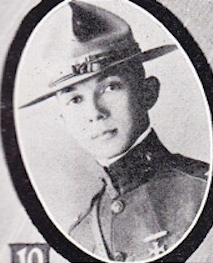 Earle left Knoxville in September 1917 as an officer of Company D, 117th Infantry. At Camp Sevier, S.C., he became an aide-de-camp of Brig. Gen. William S. Scott, and when the latter was succeeded by Brig. General Tyson in command of the 59th Brigade, First Lieut. Earle remained on staff duty. First Lieut. Belmont Earle was on staff duty but asked to be sent to the front line once he arrived in France. However, after reaching France, First Lieut. Earle asked to be assigned to line duty and was ordered to Company M, 118th Infantry. He took part in all engagements up to October 5, 1918, when he was fatally wounded near Bellicourt. He died October 7, 1918. He was only 23 years old. Before I close, there is a wonderful four-part article by the Knoxville History Project that proved to be a great source for what I wrote. 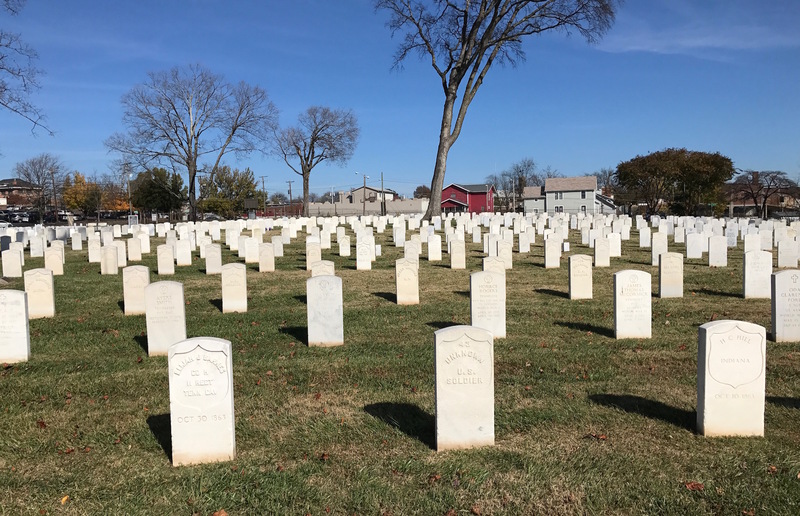 If you want to know more about the origins of Knoxville National Cemetery and its history, you can find it here. Next time, I’ll be next door at Knoxville’s Old Gray Cemetery.